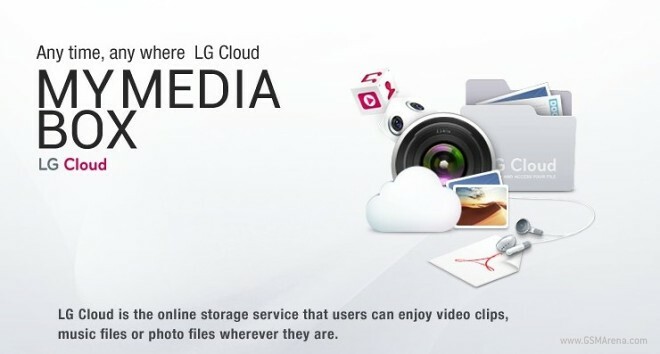 Cloud Computing is on an all time high these days and now LG have also entered into the spotlight with the launch of their cloud service called “LG Cloud” which would allow users to upload their content on the company’s servers and stream it onto their devices. The beta version of LG’s cloud service would be made available on May 1st with access to files, images and videos on your respective smartphone, PC, smart TV or set-top box. The LG Cloud services can be accessed through the LG Cloud Android app (no announcements have been made so far for release on its iOS counterpart), which users will be able to download from the Google Play Store or the LG Smart World. The app automatically synchronizes your smartphone with LG’s back end, allowing you to view it on other devices “almost instantaneously.” You will also be able to upload videos from your computer to LG Cloud, presumably through a user friendly interface (as suggested by LG themselves) . The app also promises support for 3D videos and photos provided you have a 3D camera. The company says that LG Cloud will be available in both free and paid varieties, but that pricing plans will vary from market to market, and will be announced as the service rolls out. It’s a little hard to expect too much from LG (which isn’t exactly renowned for its software) putting together a better media-sharing service than the likes of Flickr or YouTube, but we’ll judge on that once we lay our hands on it tomorrow.